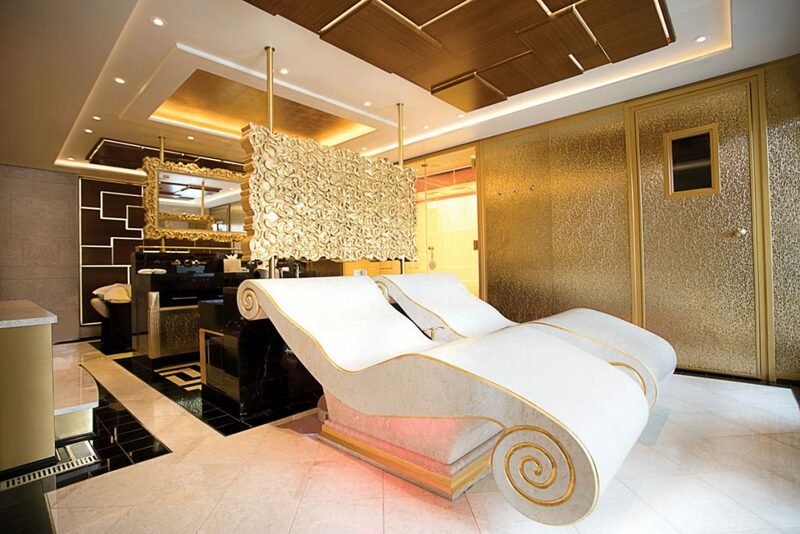 Our favorite features in cruising’s most amazing suites at sea. 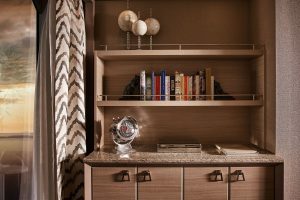 As if it’s not enough to have suites the size of apartments, today’s cruise ship suites go above and beyond sheer size with their amazing added amenities. 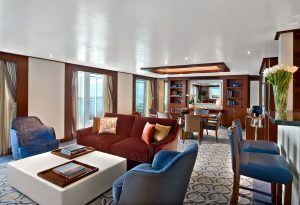 From incredible outdoor spaces to personal touches by cruise line owners themselves, here are 10 sweet suite features. Best Feature: The showstopper: a gilded master bathroom with heated-tiled lounge chairs, a sauna, a steam room, plenty of gleaming white marble, a giant gilded mirror, and amber-hued stone that’s backlit to golden perfection. 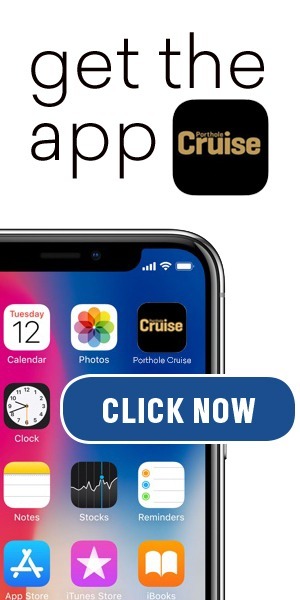 Best Feature: The custom-polished nickel light fixtures with teardrop glass balls are so pretty and jewelry-inspired you’ll want to buy one for your home, but it’s the Jacuzzi and TV-outfitted wraparound deck — the perfect place to watch new ports come into view — that makes this list. Best Feature: These suites’ glass-enclosed solariums, complete with a day bed and soaking tub, are the perfect place to sip Champagne at sunrise with caviar-topped eggs or at sunset with caviar-topped canapés — all of which is included in the fare, of course. Best Feature: Sure, they have grand pianos and giant flat-screen TVs, but it’s the outdoor space —which stretches over several levels — that blows every other outdoor space at sea out of the water. 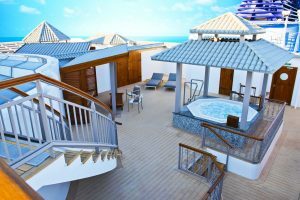 On one level, you’ll find a palapa-topped Jacuzzi tub and open-air dining area; on another, a giant sun terrace with day beds and panoramic views of the ocean. 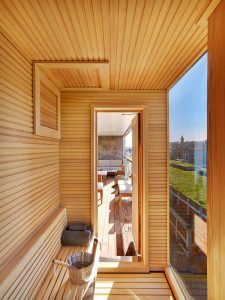 Best Feature: In the bathroom, you’ll find a very Scandinavian feature — a private two-person sauna designed with floor-to-ceiling windows overlooking the sea. 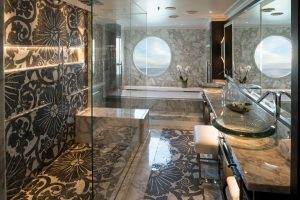 Best Feature: True, the suite also has a tub on the balcony, but we suspect you won’t be able to resist the unique experience of showering each day — admiring the rolling sea beneath you — in the glass-enclosed shower that’s cantilevered off the side of the ship. 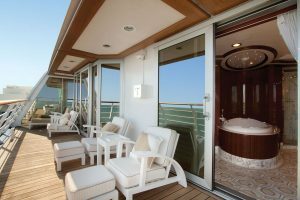 Best Feature: The private balcony has a whirlpool tub overlooking the aft end of the ship, so you can toast to your vacation as you admire the ship’s wake. Best Feature: Make an entrance through the decadently long hallway to an open living room with a half-circle staircase that’s lined with frosted glass and leads dramatically upstairs to the bedroom. 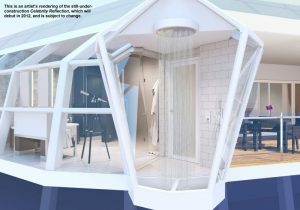 Best Feature: Just as in a new marriage, the best parts here are the surprises: Look for illuminated rods in the custom walk-in closet and a bidet in the master bathroom. 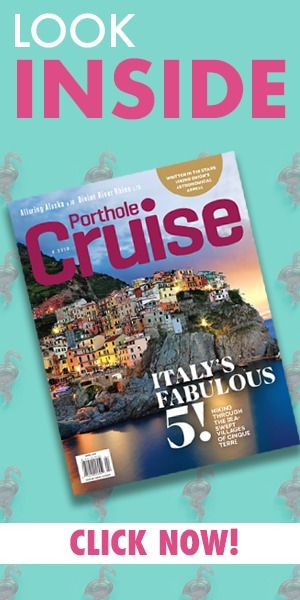 Best Feature: We love the selections made by Manfredi Lefebvre, the luxury line’s Italian chairman, which include some of his favorite books (The Great Navigators of the Eighteenth Century by Jules Verne, and After the Victorians: The World Our Parents Knew by A.N. Wilson) as well as family photographs, sculptures from his private collection, and a bottle of his favorite vintage port.